Food waste is the current phrase on everyone’s lips with several compelling articles being released in the media recently backed by the House of Lords European Union Committee report demanding urgent action on the 90 million tonnes of food that is being wasted in the EU every year; with 15 million tonnes of food waste coming from the UK alone. However, there appears to be a lack of solutions to this very large issue facing both businesses and consumers alike. Some schemes do exist on the consumer side and councils across the UK have taken on a regimented food recycling campaign by installing food waste recycling bins across homes in their respective districts. Such schemes have already proved very successful with some cities reporting that in less than a year their scheme has helped to divert upto160 tonnes of food waste from landfill, which in turn, has achieved a saving in landfill tax of almost £10,000. A Government lead solution is the “Courtauld Commitments” being implemented by Government waste-reduction agency WRAP. The solution is currently in phase three which runs for three years from 2013 to 2015 and has many signatories including Aldi, Asda, The Cooperative, Marks & Spencer, Morrisons, Sainsbury’s, Tesco and Waitrose. Reduce household food and drink waste by five per cent — which actually represents a reduction of nine per cent given anticipated rises in food and drink sales. Reduce ingredient, product and packaging waste in the grocery supply chain by three per cent on 2012 — an eight per cent cut in real terms. Improve packaging design to maximise recycled content, improve recyclability and deliver product protection to reduce food waste while ensuring there is no increase in the carbon impact of packaging — meaning a carbon reduction of three per cent in real terms. The commitments result in 2.9 million tonnes of CO2 being saved; which equates to permanently taking one million cars off the road while delivering savings to the economy of up to £1.6bn. Already, a huge 2.3 million tonnes of waste has successfully been prevented during the first two phases of the agreement, representing a saving of around £3.5bn, and over the course of the three phases, a 20 per cent reduction in UK household food waste is achievable. But is the hospitality and food service operations sector doing enough to combat the issue? The House of Lords report recommended the plan of adopting a food use hierarchy, which would place greater emphasis on the redistribution of surplus food to humans, through the likes of food banks and charities. Going on to suggest that in the case that food is not suitable for human consumption, it should then be transferred to animals if safe to do so. An innovative solution has arisen in Leeds under the name ‘The Real Junkfood Project’ which is a cafe that uses leftover food thrown out by restaurants and supermarkets to create meals for consumers. The Real Junkfood Project in Leeds, West Yorkshire, only serves meals created from food destined for landfill and customers at the radical restaurant, thought to be the first of its kind in the country, then pay what they want for the food. Numerous restaurants, supermarkets and cafes in the city have now got behind the scheme to donate food on a daily basis. The cafe was opened in December 2013 and since then it is believed the cafe could have saved a tonne of food from going to waste. The cafe is now open five days a week to serve breakfast and dinner and has also started catering for outside events. Established restaurants are also becoming involved in the plight to reduce food waste in the UK. One chef who has decided to do something about this issue is Sat Bains and his two-Michelin-starred ‘Restaurant Sat Bains’ in Nottingham is the first restaurant in the UK to install a new piece of technology to reduce food waste. The machine, called a ‘Closed Loop Organics unit’, reduces food waste by up to 90% by using special microbes kept at an optimised temperature. 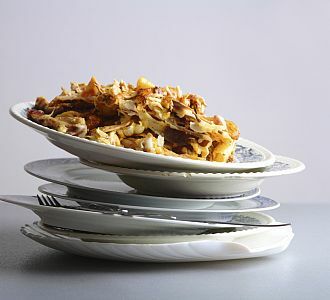 The bacteria break down the food waste, reducing it by up to 90% by weight in 24 hours. The machine, which looks similar to a chest freezer, allows kitchens to simply dispose of their scraps into the machine and leave the bacteria to do the rest. The output is nutrient-rich compost which can be used to fertilise soil and help grow more food for the restaurant, hence the ‘closed loop’ name of the machine. Reducing food waste by making use of said waste is one option to combat this issue. At arena4finance, we believe that with effective control measures an organisation can combat food waste by simply reducing the amount of waste they produce in the first place rather than having to search for solutions to ‘recycle’ their waste. Using methods such as menu item forecasting, standardised recipes, managing inventory or stock control, and managing the food production process, organisations can take full control of their food and beverage operations and ensure that waste is kept to an absolute minimum. For example, using a standard recipe allows for accurate purchasing because you know exactly how much of an item needs to be purchased to make the number of menu items required which in turn eliminates waste by through inventory spoilage. To learn more about the methods used for cost and control in food and beverage operations, please visit our website. Are you currently implementing schemes to combat the food waste produced by your organisation? Let us know of your progress in the comments below.